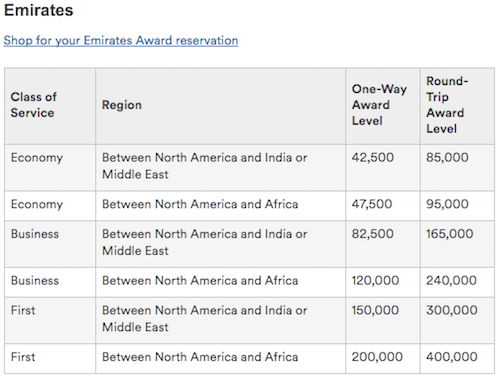 I’m running out the door to work but I wokeup to the news this morning from Lucky that Alaska Airlines overnight made a HUGE devaluation to Emirates award reservations. 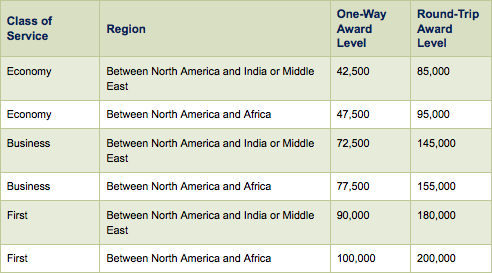 I’ve copied the new chart below but some first class awards have literally doubled in cost! Compare this to the old chart – look at the jump in business class as well. It’s not just first class awards that are affected though the impact is certainly greater there. 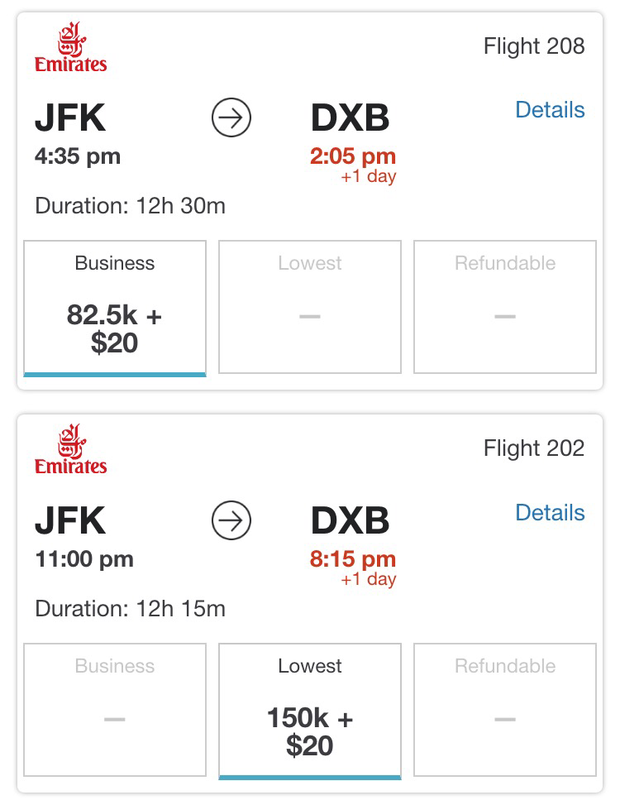 And here are the results for a JFK to Dubai flight showing the increased cost. While I understand devaluations are most likely inevitable, to provide no notice whatsoever ever is unacceptable. 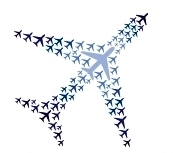 Say you have been saving up your 100k Alaska miles for your trip and then overnight being told you need double that amount in some cases. Completely and utterly unacceptable to make this type of devaluation with no notice. I’m glad I got in at least one Emirates first class flight last fall and I just helped a coworker of mine book a first class flight for his honeymoon – talk about good timing. But this is definitely awful news to wake up to for many of us who aspire for first class awards. Sadly this is NOT an early April Fools joke. So fly Economy. You get there the same time, and more importantly, AT THE SAME COST IN POINTS AS BEFORE! Agree that works for many. I like to use my miles for experiences I can’t afford – I can buy an economy ticket whenever I want but I can’t buy a first class ticket. Thankfully I can still choose to use miles if I wish but I’m not happy the price doubled with no notice.